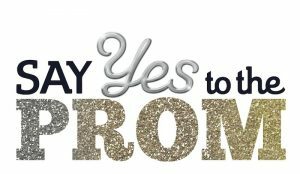 Complete the form below ONLY if you are a South Florida high school student who would like to request an appointment to select a prom dress. We are open by appointment only and appointments will be scheduled at our Pompano Beach, FL location in the Festival Marketplace Mall. Our hours are different from the Festival Marketplace hours. We are open on select days for a limited time. Students are required to show proof of current high school enrollment at the time of their appointments. If you do not live in South Florida, search for a local chapter on our website and contact that chapter directly. Do you live in South Florida (Miami-Dade, Broward, Palm Beach, Monroe or Martin Counties)? Submit this form ONLY if you live in South Florida! Becca's Closet South Florida appointments are scheduled at our storefront on the WEST END OF THE FESTIVAL MARKETPLACE, POMPANO BEACH, FLORIDA! DO NOT GO TO PLANTATION FOR YOUR APPOINTMENT! If you live outside of South Florida, go to http://www.beccascloset.org/beccas-closet-chapters, search for and contact a local chapter directly. This form is for South Florida appointment requests only. If you do not live in South Florida, do not complete this form! Please search for a local chapter at https://www.beccascloset.org/beccas-closet-chapters/ and contact that chapter directly for information on how to get a dress. What is your cellphone number? A volunteer will contact you to schedule an appointment at our Festival Marketplace storefront in Pompano Beach, FL. Check your voicemail AND email! If you receive a message or email from us, please call back promptly. Enter the NAME of your high school here. Becca's Closet donates dresses for high school-sponsored events only. We will not respond to requests for dresses for 8th grade dances, cotillions or pageants. We understand that you may not know the exact size you wear. If you don't know, please tell us XS, S, M, L, XL. Are you in a wheelchair? Are you on crutches? Are you transgender? Do you have any physical or emotional limitations that require special care during your appointment? Please let us know so that we can help make your experience a positive one. I agree to bring proof that I am a current high school student to my appointment. I will either bring a copy of my current school photo ID, or a copy of my current school schedule and a photo ID. I understand that my appointment will be on the West end of the Festival Marketplace, 2900 W Sample Rd., Pompano Beach, FL (www.shopfestival.com) and that if I do not show up for my scheduled appointment without calling, I may not be able to reschedule. I understand that the dress I select cannot be exchanged. If you can afford to buy a dress, Becca's Closet is not the place for you! You will be given 45 minutes to select your dress. Please arrive at your appointment on time with an open mind, as having a specific dress style in mind will make things difficult! You will be paired with a volunteer who will help you shop. Family and friends will wait outside the storefront, and you'll be able to show them the dresses that you like after you try them on. We have lots of beautiful dresses to choose from in sizes 0-34, and our volunteers will do their best to help you find one that you love. Dresses cannot be exchanged. What is your Instagram/Twitter handle, if you have one? Dress to flatter your body type! Finding a prom dress you love is no doubt one of the most important aspects of Prom. You want your dress to be perfect in every way. You want to love the style and color, but most importantly it must fit you well. Most formal dresses run small, so rather than focus on the actual size of your dress, seek the best fit possible. Even if you absolutely love a dress on the hanger, if it doesn't fit your body well, it won't be comfortable and it won't look as good as the right dress should. Before you leave Becca's Closet, we make sure you have selected a dress that fits you well and requires minimal alterations. Don't get stuck on a specific dress style or color before you ever tried one on. Your goal should be to look and feel beautiful so keep an open mind! Your prom dress may be the first dress you have ever owned, and choosing one perfect dress out of hundreds can be overwhelming. We encourage you to use the online resources right here to recognize your body type, and learn how to flatter everything that is beautiful about you! Once you know your body type, you'll be able to narrow down the many choices to styles that will most likely look best on you. Apple, Pear, Triangle? Every year girls go crazy trying to find the perfect dress that will make prom a night to remember. But what’s perfect for one girl might not be for another. With so many choices available, how do you possibly find the right one? The first step to finding the right dress is understanding what works and what doesn’t for your body shape. Your dress should highlight all the features you love and hide all the ones you don’t. So it is important to match your body type with a dress that will make you look absolutely fabulous. Even celebrities have challenges! Here are a few online resources to help you with your search.